Samira and and Alija’s romance began in the halls of John Marshall High School. When Alijia moved to the US in 2004 Samira caught his attention at his new school, he had a crush on her from the start! Although they socialized in similar groups throughout high school they never really spent any individual time together. 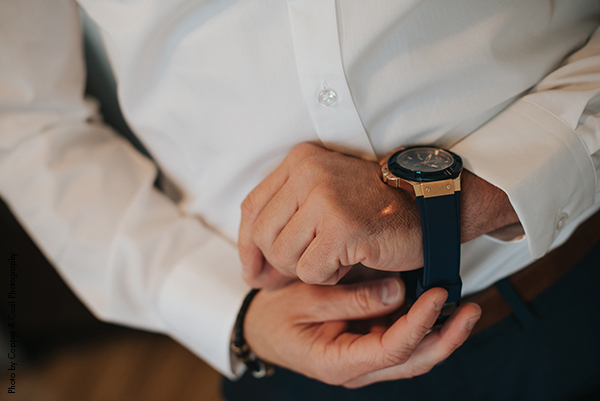 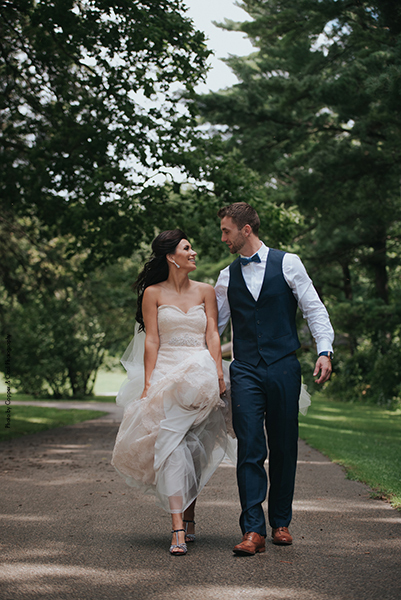 After high school they ran into each other in downtown Rochester at The Loop, Alija managed to strike up a conversation and they exchanged phone numbers. The next morning they went for a walk together, and the rest is history! 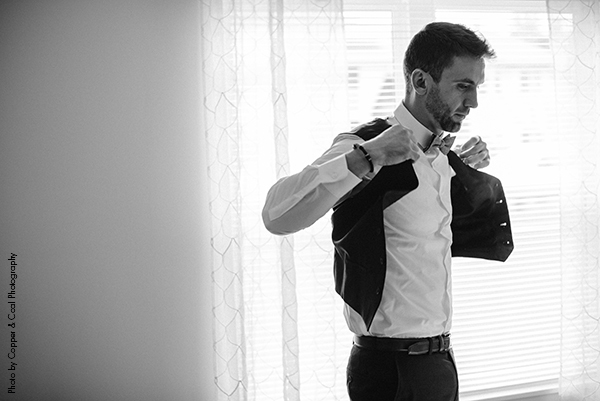 Samira is a nurse practitioner and Alija is a project manager. He is the life of the party, a complete extrovert, while Samira enjoys the company of smaller groups- together they balance each other out work perfectly together. 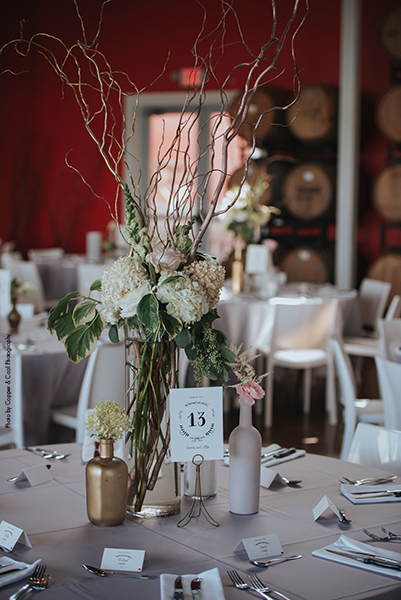 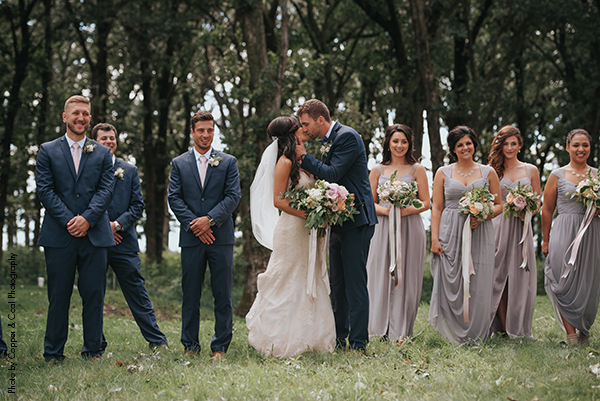 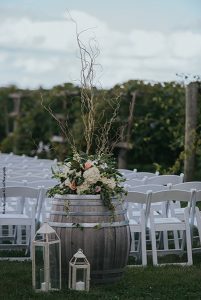 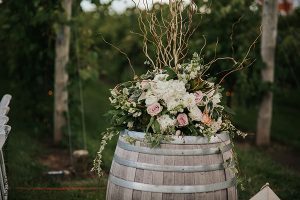 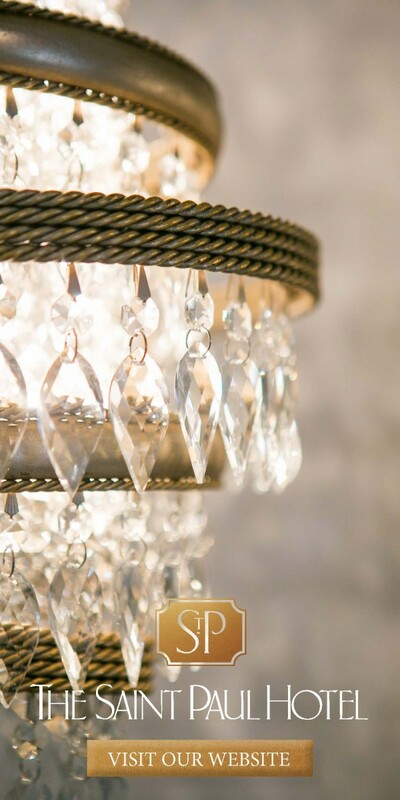 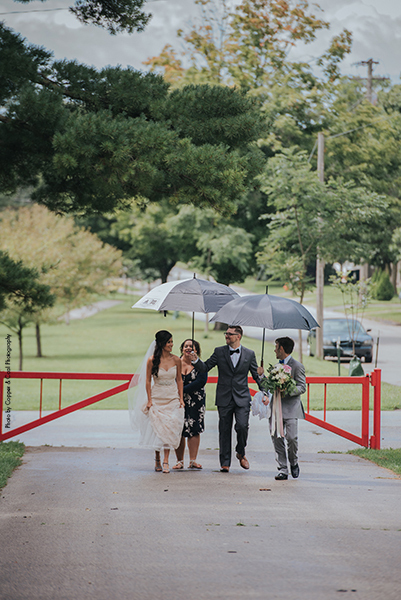 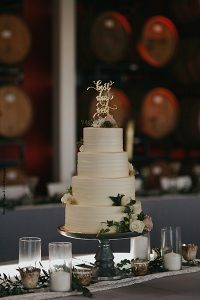 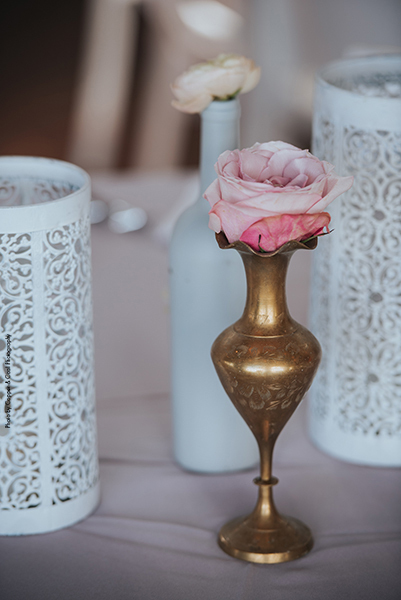 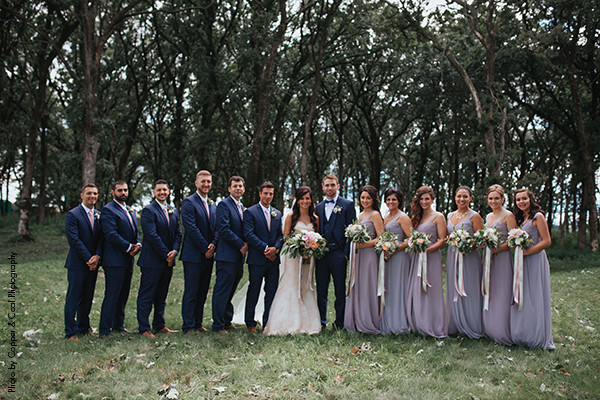 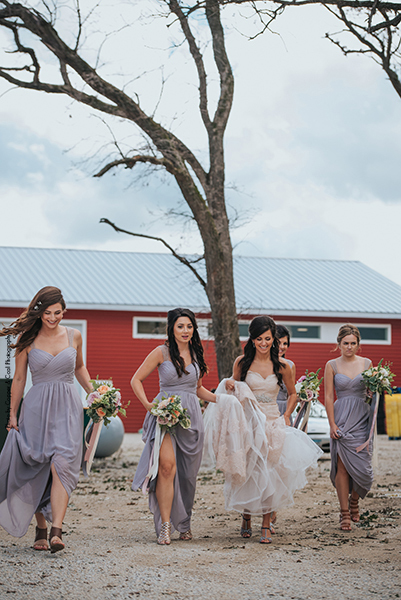 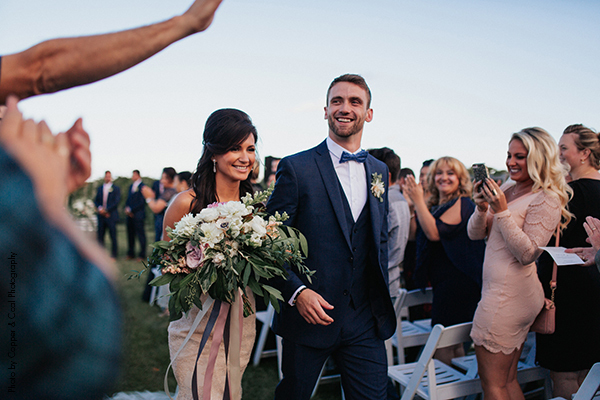 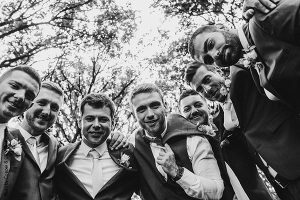 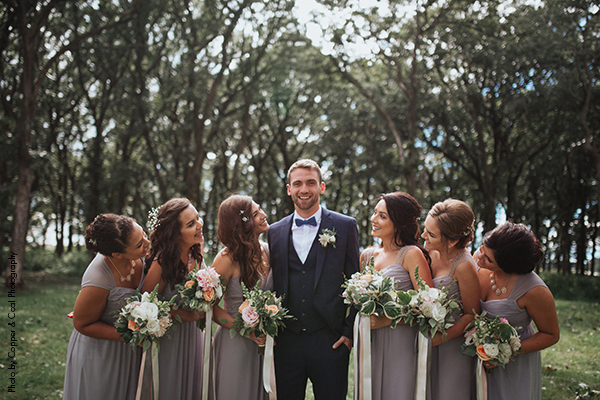 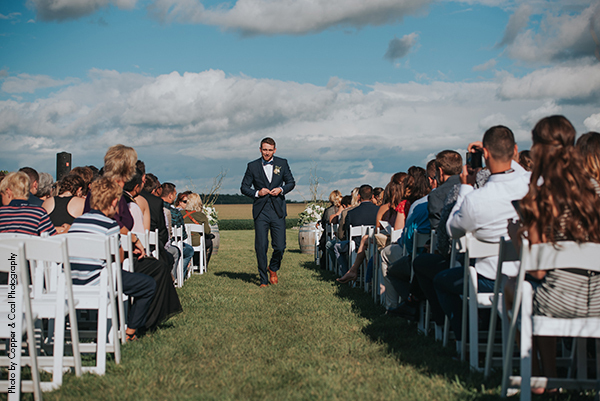 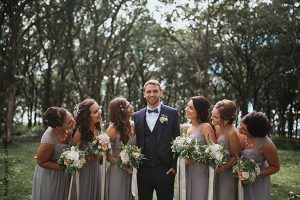 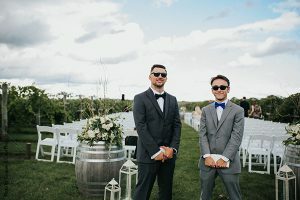 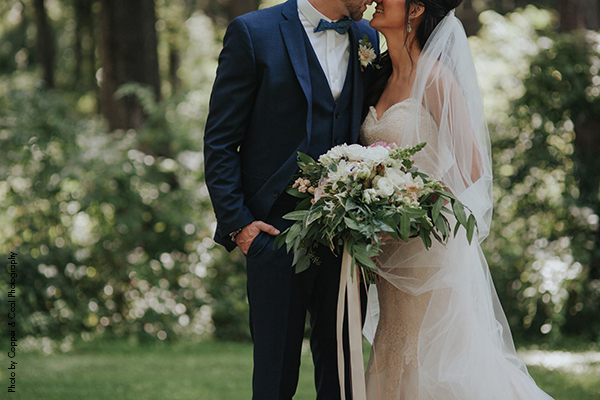 About a week after Samira and Alija became engaged they met with the Four Daughters Vineyard and Winery Manager and Event Coordination and knew that this was the perfect location for their wedding day celebration. 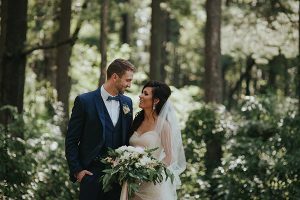 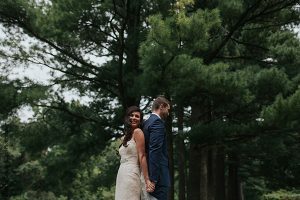 They loved how the location offered a romantic yet modern feel, and their late summer date made for a stunning ambiance with everything in full bloom. 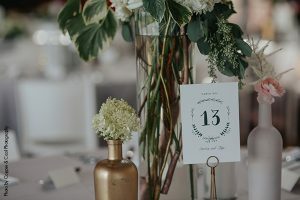 Once the venue was booked they ran with the theme of “Modern Romance.” As Samira started picking out all the details everything became much softer and neutral than she originally anticipated so their themed evolved into simply “Romance.” The floral bouquets perfectly emulated the soft romantic theme, they included shades of blush and ivory with lots of greenery and long stems that made it feel as if they were freshly cut from the garden. 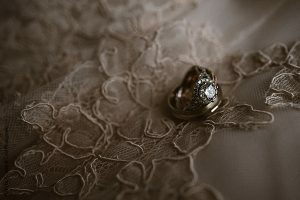 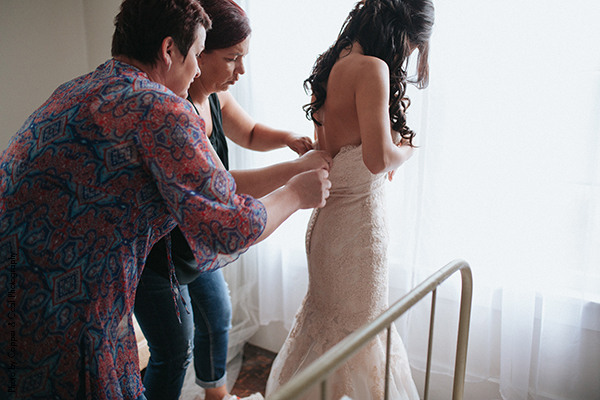 When it came time to choose the gown of her dreams Samira knew she wanted a fitted lace dress. As she browsed the racks the mermaid gowns with low backs caught her eye. 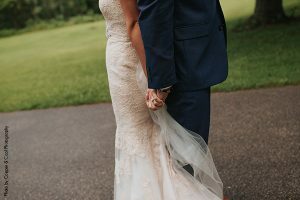 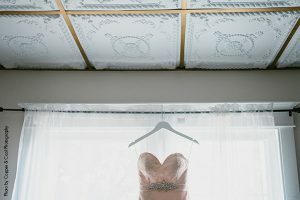 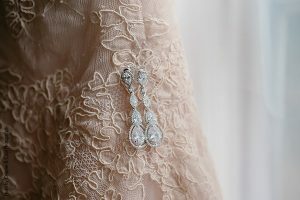 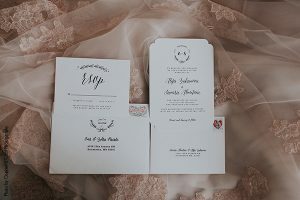 When she started trying them on she went with a lace dress that still captured the mermaid silhouette but was not open or low in the back…the most eye-catching and unique part of the gown was the color, a soft blush was the perfect fabric for her romantic outdoor nuptials. 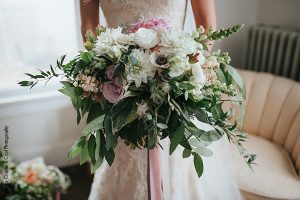 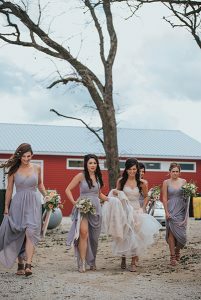 When she looked at herself in the gown, it screamed soft, romance, vineyard but the color added a touch of that modern twist Samira had originally envisioned. 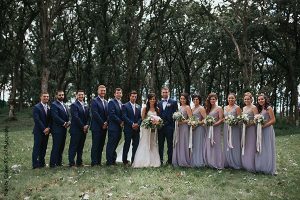 Samira knew she wanted her bridesmaids dresses to be timeless and elegant, she kept coming back to the idea of looking back on pictures and thinking “why did I pick these awful colors? 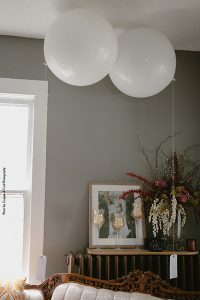 !” From there she knew she wanted to stick to a neutral color palette. 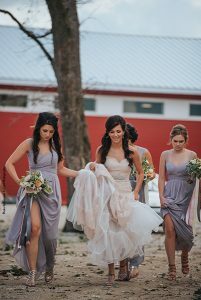 Having a blush wedding gown also offered another piece of consideration in the bridesmaids dress hunt. 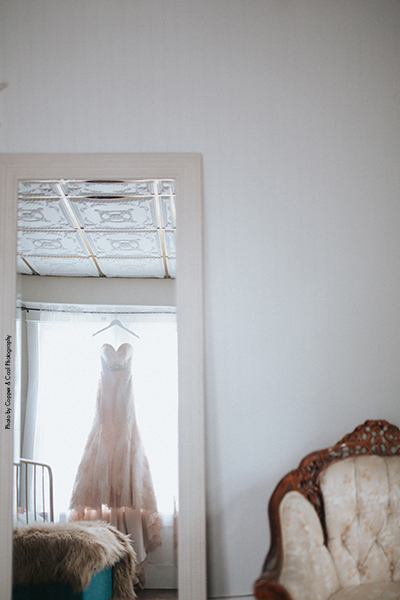 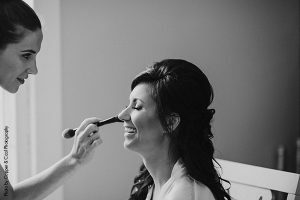 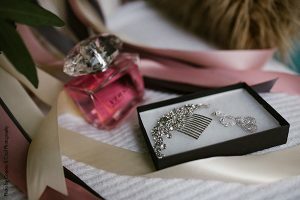 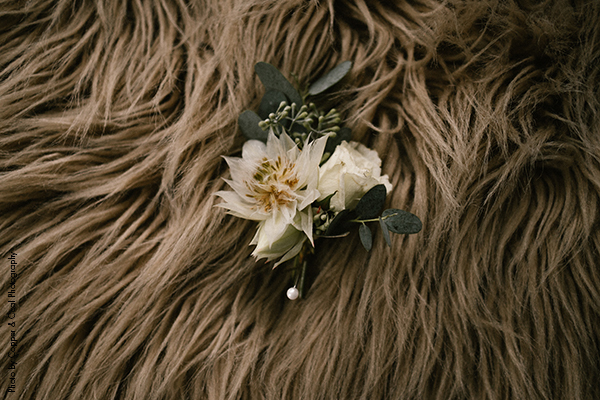 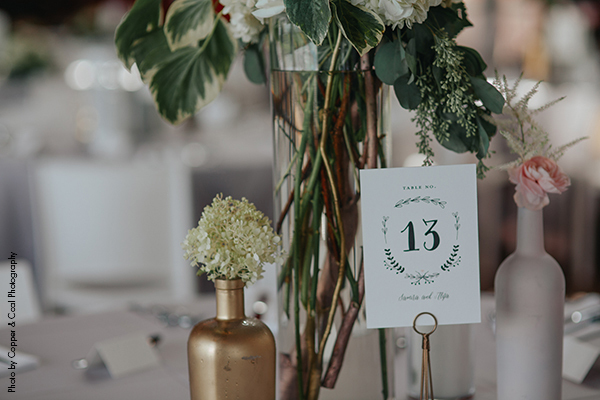 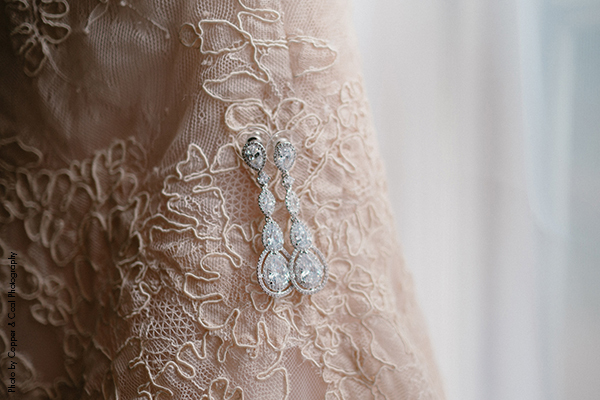 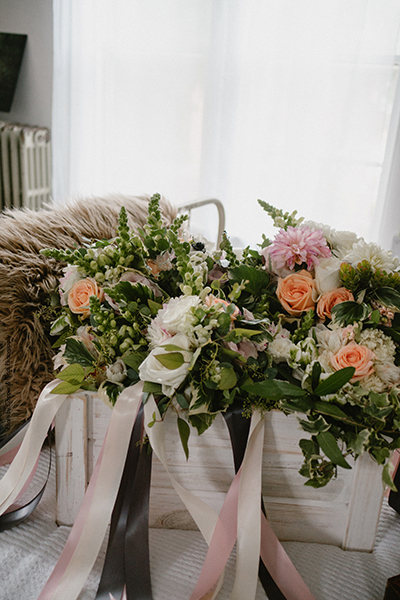 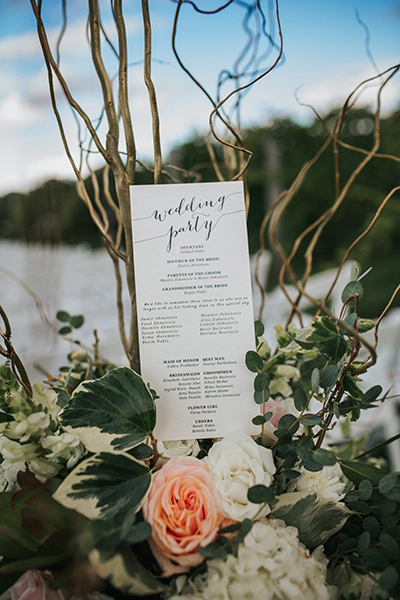 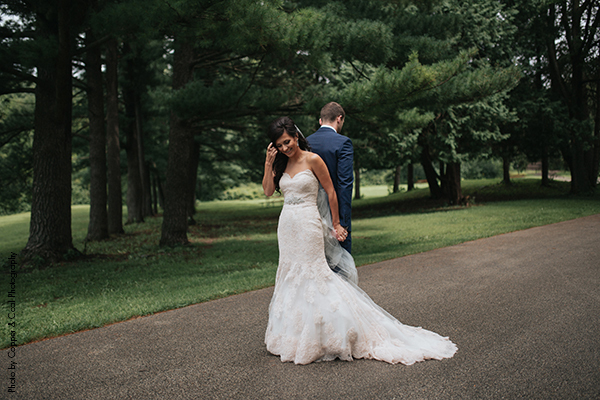 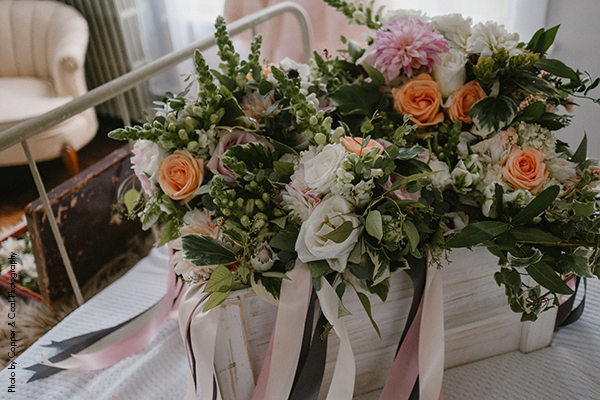 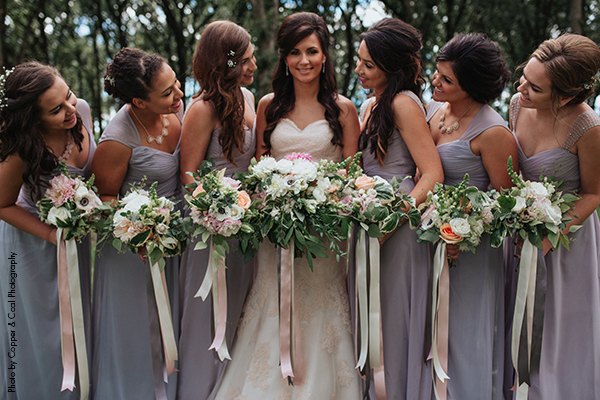 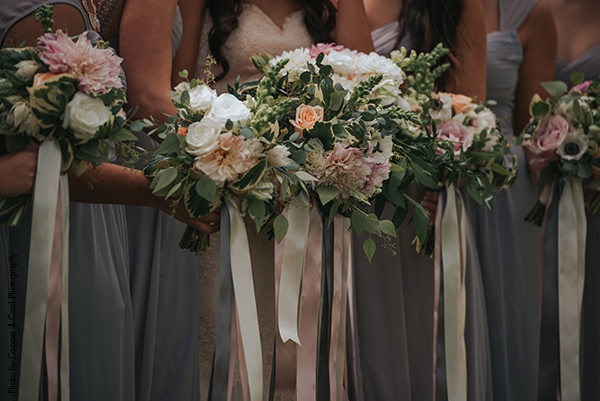 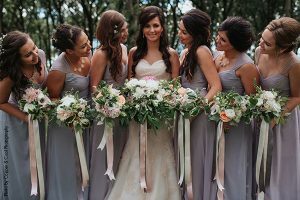 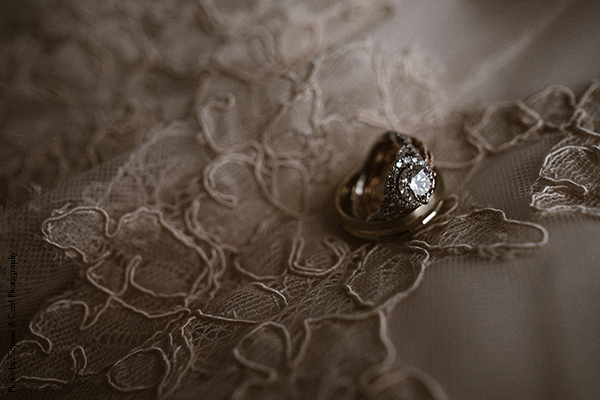 She landed on a soft gray color that would complement her blush wedding gown beautifully. 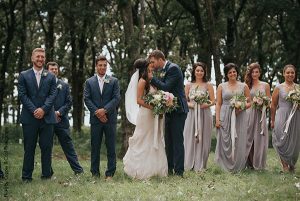 There landed on two different dresses for the girls to wear that alternated depending on where they were going to stand during the ceremony. Samira picked individual accessories for each girl because she wanted the style to seem relaxed and natural. 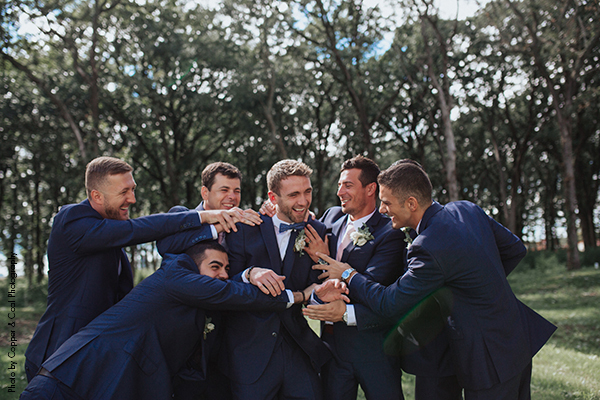 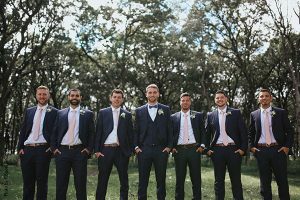 All the men wore navy suits, Alija accompanied his with a bow-tie while the other men wore blush ties. 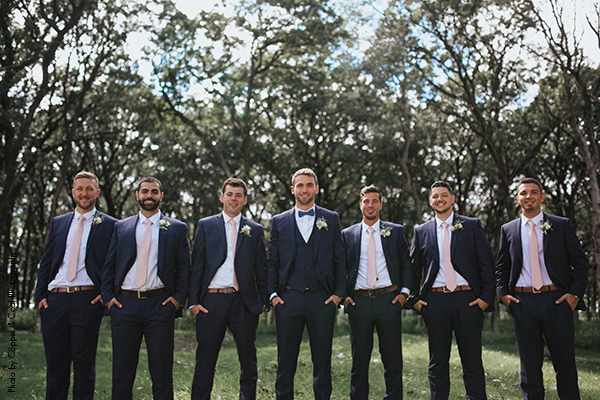 They finished the look with brown shoes. 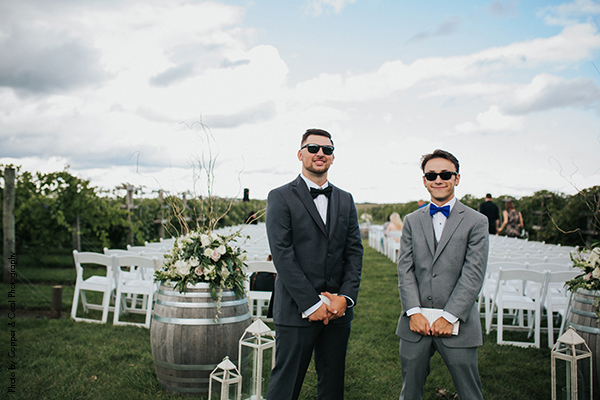 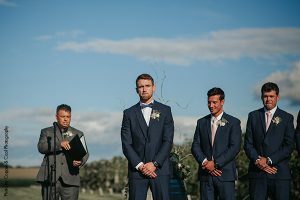 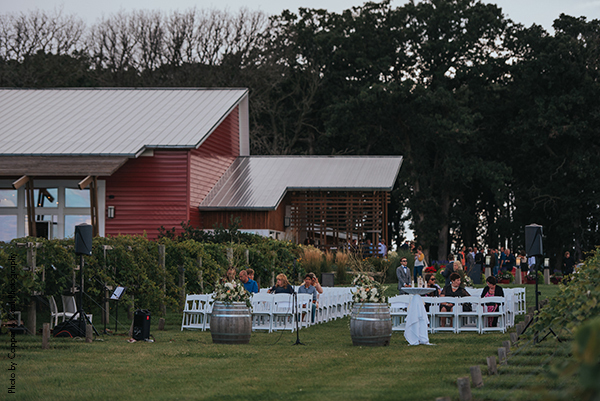 The Ceremony took place outdoors at the vineyard on a stunning Summer day. 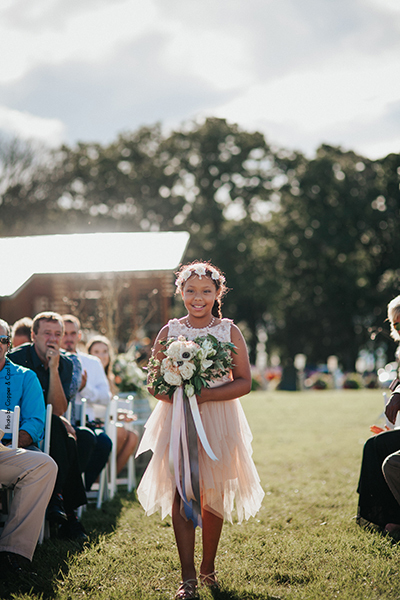 On August 20th 2016, Samira walked down the aisle to a beautiful melody performed by a violinist and guitarist. 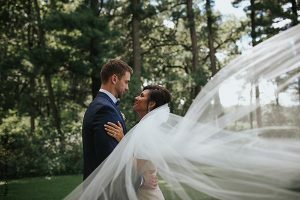 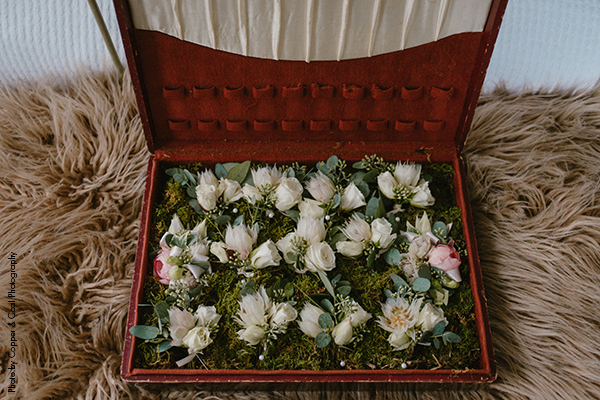 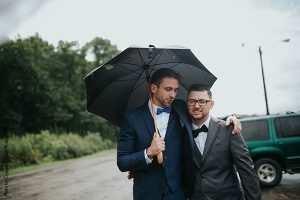 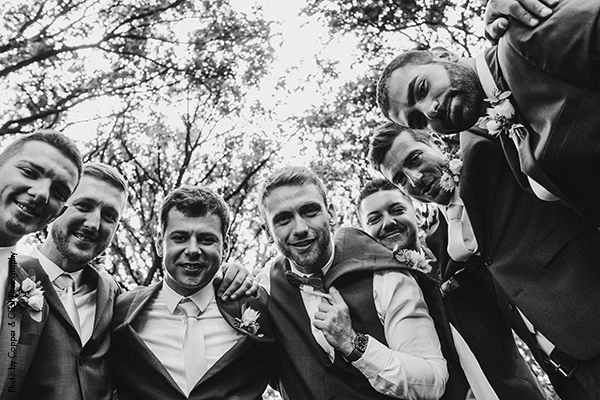 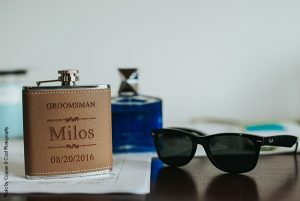 Samira and Alija both lost family members before the wedding day, and they knew they wanted to pay tribute to these loved ones in a meaningful way during the ceremony. 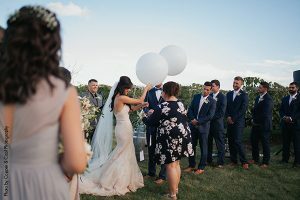 They decided to write notes to Samira’s father and Alija’s brother and tie them to large white balloons for a portion of the ceremony they titled, “messages to heaven.” Both Samira, Alija and their guests all remember this as one of the most memorable and meaningful parts of the day. 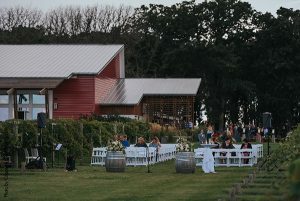 After the ceremony concluded guests enjoyed a cocktail hour with delicious appetizers. 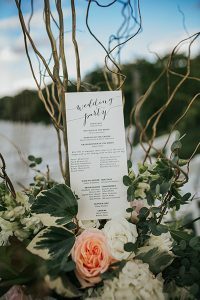 When it came time for dinner, they were served bread and brown sugar butter, mixed green salad, salmon or chicken, with corn and fingerling hash, charoula-corriander cream or butternut squash ravioli with fire roasted apples and pecan brown butter- it was amazing! Guests were able to satisfy their sweet tooth with a white chocolate cake with raspberry filling. 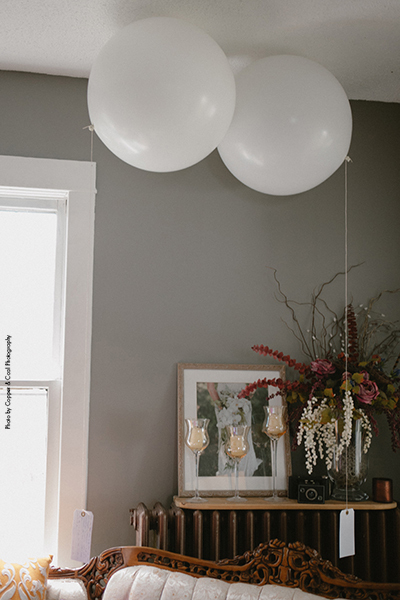 The food assortment continued as the night when on…Samira and Ailija offered their guests a late night snack that included assorted flatbreads! 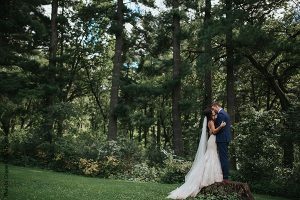 Samira and Alija want to tell engaged couples to take a deep breath! Enjoy the process because it flies by before you know it and the day is over. 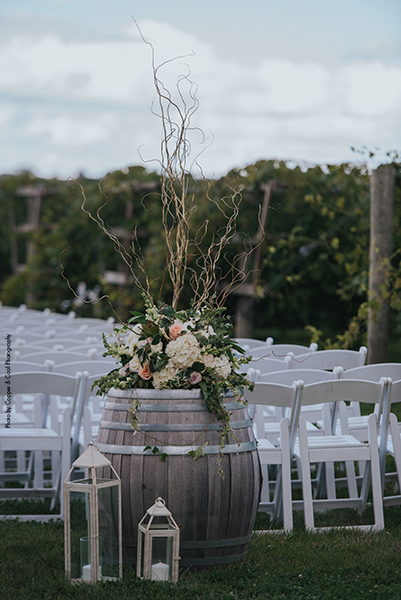 There will be hiccups along the way but everything happens for a reason and try to keep that in mind throughout the planning process!